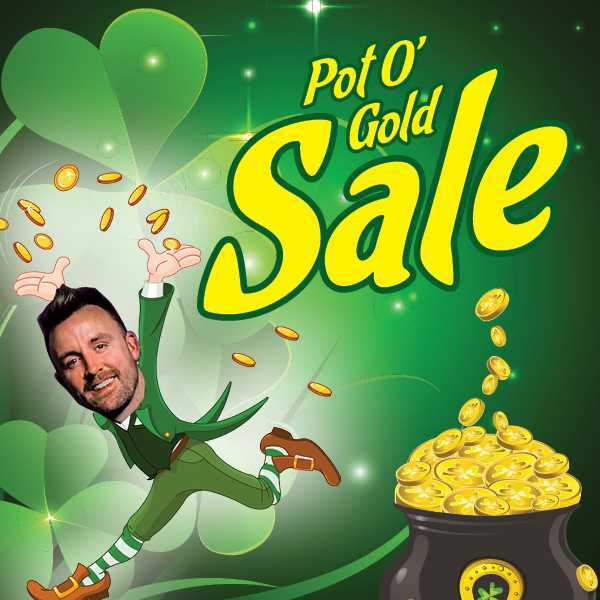 Slide down the rainbow right into our Pot O’ Gold sale this upcoming Monday, March 18th. For one day only you’ll receive 10%-80% off EVERYTHING in the Showroom!! We’re opening our doors from 8:30am-5pm for our customers to receive a little luck of the Irish. Plus, feel free to sit in on our complimentary Inca Glow live-model demo happening in the Learning Center at 10am, or make a pit stop at our Sunlights Balayage pop-up demo happening in the showroom 11am-2pm. In addition to our usual color deals where the more you buy, the more you save, we have unmatched Door Buster specials as low as $.89 and up to 30% off our Best Sellers! So gather your gold coins and stock up on your essentials this spring. We’ll see you there! This entry was posted by Sullivan Beauty in Uncategorized. ← Extra Extra!!! Read all about it.